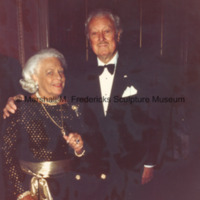 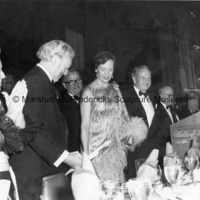 Marshall Fredericks and Mrs. H. Lawrence Bogert at the 1985 ICD Awards Dinner. 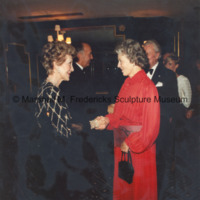 Rosalind Fredericks shakes hands with First Lady Nancy Reagan at the 1984 ICD Awards Dinner in New York City, New York. 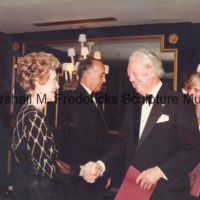 Marshall Fredericks shakes hands with First Lady Nancy Reagan at the 1984 ICD Awards Dinner in New York City, New York.